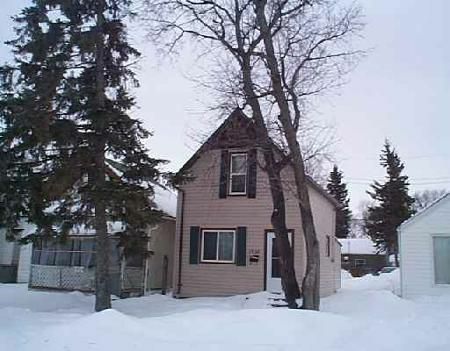 5D/BROOKLANDS/WINNIPEG/Calling all renter's, first time home buyers, cheaper than rent. Renovated home for only $57,000.00! New roof, windows,ceramic tiled bathroom, maintenance free exterior, laminate flooring, 100 amps electrical, french doors and more! Great location close to Red River College(Main),quiet neighborhood, across from playground, a minute walk to elementary school, daycare centre, public swimming pool & close to Polo Park! Lots of newkly built homes in the area, Fridge, stove, washer & dryer included plus sect ional sofa in the living room, wow!